After our 2018 She Leads Conference, we asked a select group of women the question of how attending the event has enriched their lives. Over the next couple of weeks, we will be sharing their answers and insights with you. This week’s post comes from Teresa McKinnon. 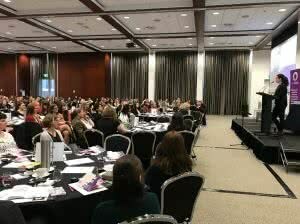 When advised that I was a recipient of a YWCA Canberra scholarship for She Leads Conference 2018, I thought to myself ‘what a privilege’ and ‘I am very lucky to have such an opportunity’. However, after hearing from Jamila Rizvi in her keynote address, I will never again think about myself as being ‘lucky’. I am increasingly aware now of how this simple mindset is depriving other women from following in our footsteps. The conference, rightfully headed ‘Rise: We grow powerful by lifting each other’, was both highly appropriate and fitting. Particularly relatable, I took away from the event the importance and the power behind amplification particularly in our workplaces. Supporting other women and their voices in the workplace by standing with them and supporting their views or challenges (as a collective), provides amplification of the presence of women in the room and their part in the topic at hand. Amplify her voice by repeating what she says and giving her the credit deserved (Natalie Walker in panel). The strength and empowerment given to women through amplification was also spoken to by Cr Mary Delahunty in her keynote address to the conference, and in reference to her personal realisation that she herself had to persist in order “to create space for other women”. 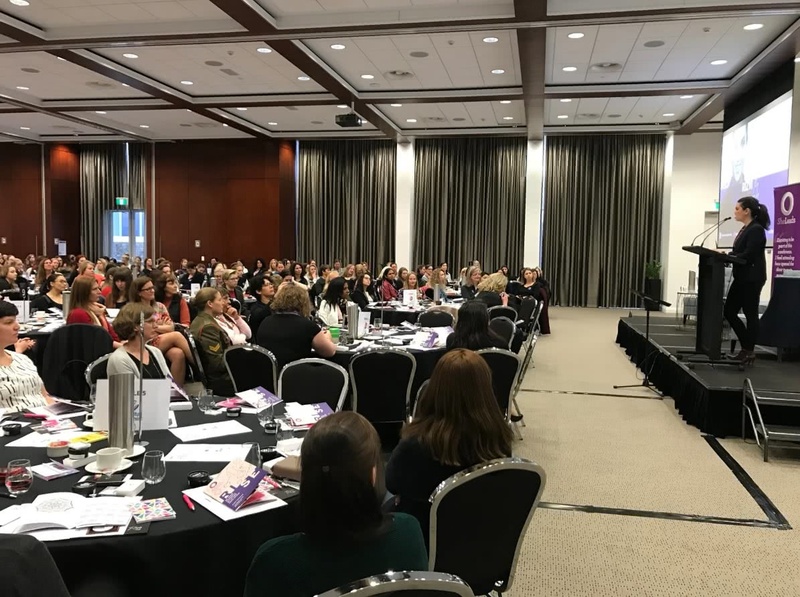 The fabulous MC Meshel Laurie further inspired us to support other women with providing the room some personal insight into women lifting each other up. Meshels’ words of inspiration, implied that this cannot only be theory, but is ethical and we need to be great women, we need to continue to support those women who will continue what we will start (just as “we are nothing without the women who came before us” – Cr Mary Delahunty). The panels, provoked thoughts and excited conversation and the seminars further focused our thoughts on specific tools to be utilised on the journey that is our career. Personally, Angela Priestley’s words on “owning your own inbox” resounded with me. Time is something we can never get back, therefore planning time for ourselves and best planning our work provides us with the power to manage (or attempt to manage) our own time. Empowering our staff and ourselves with productivity and time. In summary, the words of Nas Campenella “Success for one can last a moment but success for a group can last a lifetime”, inspiring myself not only to be the best I can be, the best leader I can be and strive to be better; but inspires me to support other women to be the best they can be, and empower them to achieve. Just as the women before us did, we continue to lead and take others with us on the journey.